Formula E, the first electronic car circuit race — and the brains behind ‘Roborace,’ the first AI racing series featuring cars without human drivers — just unveiled its car design for the upcoming 2016/2017 race season. The ‘Robocar’ looks like a Formula 1 racer if someone managed to build a time machine and bring one back from 2065 or so. 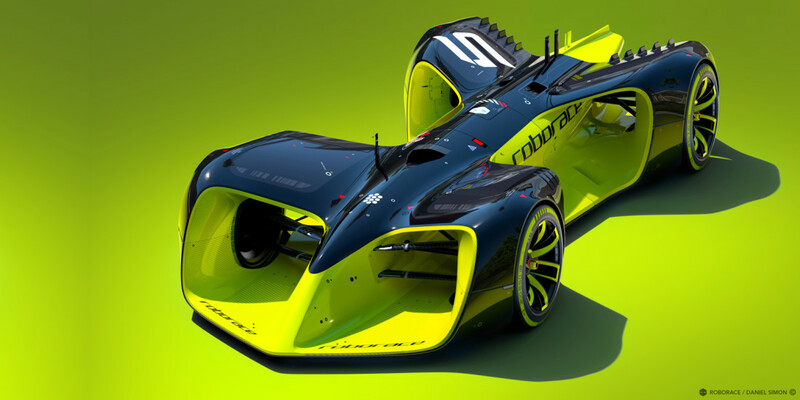 The radical concept was created by Daniel Simon, Roborace’s Chief Design Officer and one of the designers behind the epic Sci-Fi thriller, ‘Tron:Legacy’. We talked a bit about Formula E and Roborace, back in November, but what you need to know is it’s a a completely electronic (no gas-powered vehicles) circuit race series that uses AI rather than human drivers. Roborace will pit 10 teams — each with two cars — against each other to see how can create the smartest artificially intelligent cars capable of handling speeds of over 180 miles per hour. All cars are identical, so the best AI driving solution will take home the crown. The series is set to start later this year.